Falling Skies- the title of my YA Sci-fi and an already existing tv sci-fi show! So my ms is a YA Sci-fi about a girl named Skye who falls in love with an extraterrestrial on a diplomatic mission to Earth. The aliens all have the power to electrify (and kill) with a single touch and this one in particular has electric blue eyes that my MC describes as lightning bolts and telekinetic abilities. After she meets him she has nightmares of falling, hence the whole "Falling Skies" concept has double duty double meaning. Still, I received so much feedback about changing the name because of the darn tv show that I began to think of other alternatives and finally came up with one that I loved "Struck" (like struck by lightning, which my mc is both metaphorically and physically), only to discover that there already is a YA Paranormal novel with that name. Ok, you get the idea....Any suggestions you could give me would really be helpful. Thanks! With regards to any of those ideas, I think you could include your MC's name in there to play on the word "sky". "Sky Struck" and "Electric Skies" stand out to me most. Publishing Experience:25 peer-reviewed scientific papers and reports. THE SMALL BUSINESS GUIDE TO HAZARDOUS MATERIALS MANAGEMENT--published and made available through The Public Welfare Foundation in Washington D.C.
WARRIOR POWER--published by PublishAmerica as a training guide. It is hard to suggest a title because I don't know how the story will end. I like that you going for a double entendre. When I am struggling with a title, I look for the esoteric meanings, so would look at things about lightening that could be unexpected. The first thing that I thought about was Ben Franklin and the story of how he proved that lightening was electrical. If Skye ends up taming the alien and making him her own, something like SKYE'S KEY could be cool. Might want to search for other weird stories about lightening to see if it inspires. Thank you for the suggestions! I'm hoping inspiration will strike and I'll find the perfect title. 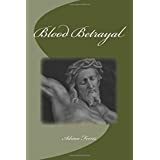 Publishing Experience:Self-published: The Order of the Knight and Blood Betrayal. Unless the TV show has put a trademark on their title, like there is on Star Wars and Star Trek, you can still use that title. Titles are not copyrighted unless you see the TM sign. Struck is an okay title to use, but I wouldn't use Falling Skies. It's not about the copyright. It's about how well-known it is. You can technically name your book "Twilight", but who would want to and be infinitely compared to Stephenie Meyer's story. I know about the television show Falling Skies. I've watched it. You received a lot of complaints about it because enough people in your potential reading audience know about it. But none of us have read "Struck", so I think it would be fine to use that one. It's okay to try these new titles, but that is the difference to me. I like "Electric Skies" a lot as well. So since I posted this, my manuscript is now a finalist in a national writing contest. It won with the title Falling Skies. Now I'm not sure about changing it at this time, since I added this fact to my query. I hope that if/when (keeping my fingers crossed) I get an agent, I can deal with the title change then. I mean, it's very common to have working titles right up until the book is officially published. What do you guys think? Titles change a lot, Debbie. So I think you should just go with what works for you and be open to change if you get an agent who wants to change it, or an editor who does. My title changed before publication. It was kind of hard to come up with the second one (the third was just changing "her" to "you" which was way easier), but it worked out in the end! Good luck! And congrats on becoming a finalist! That's awesome. @sharpegirl I think I'm going to take your advice. Thank you! Publishing Experience:Freelance Fiction Editor and Published Author. 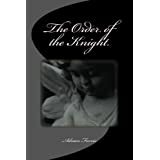 I write thrilling tales of romance and suspense, often mingled with a dash of the mystical and a splash of trendy fashion. Congrats! And I personally, like "Falling Skies"
What about "Skye is Falling" ? Spelling it like a name would making it clearer in my view. What about taking out the "is" and just "Skye Falling" ? Congratulations. Wow. I really like Skye Falling. Thanks everyone! Skye Falling is pretty cool. Publishing Experience:Nostalgic Rain: Galaxieas Away - Out July 2017.